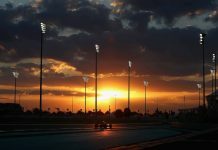 Louise Goodman was the voice of the Formula One pitlane for almost twelve years. In her role as ITV’s pitlane reporter, Louise saw it all. Dubbed ‘the first woman of Formula One’, no driver ever escaped her microphone, and she was always on-hand when a story was developing. These days, Louise is enjoying life on the other side of the screen, as well as working with ITV in the British Touring Car Championship, but she sat down with Badger’s Rob Watts to share some memorable stories from her time in Formula One. “I’ve always said that my career was a set of happy circumstances,” Louise explains, “I didn’t set out to work in motorsport, but from an early age I loved anything with wheels and an engine. I got off the back of a motorbike and walked straight into this Formula One environment, really not knowing what I was doing if I’m honest. After initially getting her break with Powerboat & Waterskiing magazine, Louise explains how she ended up meeting Tony Jardine, who went on to give her her first job in Formula One. “I had kind of overheard him at a barbeque saying he was starting his own PR company, and that he was looking for someone to come work for him. By this point, I had become editor of the powerboat magazine, but I was going away travelling and was looking for something less intensive so that I could plan my travels. Louise kept in contact with Tony and on returning to the UK went back to working full-time for his PR company. Now firmly settled in her new role, doors quickly began to open for Louise. After a four-year spell with Jardine PR, Eddie Jordan snapped Louise up and made her Head of Communications for his fledgeling Grand Prix team, and as Louise explains, working for Eddie was a totally different experience altogether. “I loved it. 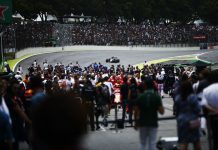 Formula One today is very compartmentalised, and that goes across the board. I was effectively the whole communications department and half of the marketing department. You had to multi-task back in those days. “In fact, Ian Phillips [who at this point was the commercial director at Jordan] used to joke and say ‘Does Eddie want to be rich today, or does he want to be famous today? – which of us is going to be busier? In her new role, Louise was enjoying a new level of creative freedom and was quickly learning how to get Eddie on her side. “Eddie, from a personal perspective, was great because he liked the media side of things. He liked being famous. He was quite amenable, but he’d try to play hardball sometimes. If he said ‘I don’t want to do it’ I’d just say ‘OK, well they don’t want to talk to you anymore’ and then suddenly he’d be available. So, for the most part, he’d let me get on with it and do my own thing, and let me be creative. We’d have to say ‘Eddie, f*** off! You’re interfering!’, and he would just laugh! By the mid-nineties the Jordan team was developing a reputation quite unlike any other on the grid. While being a serious operation on-track, Jordan’s off-track activity was a different story, and Louise was at the forefront of it. “We had a rock n’ roll image. Eddie liked us to work hard and play hard. We were pretty much the inventors of what is now the massive post-British Grand Prix party. That started off with us on a flatbed truck as a means of entertaining all the Jordan staff and their families back when it took five hours to get out of Silverstone. Louise looks back at her time at Jordan, and recalls a particular tactic they developed to work around Eddie’s short attention span. Eddie Irvine was a messy bugger. I used to have to iron his shirts for him. 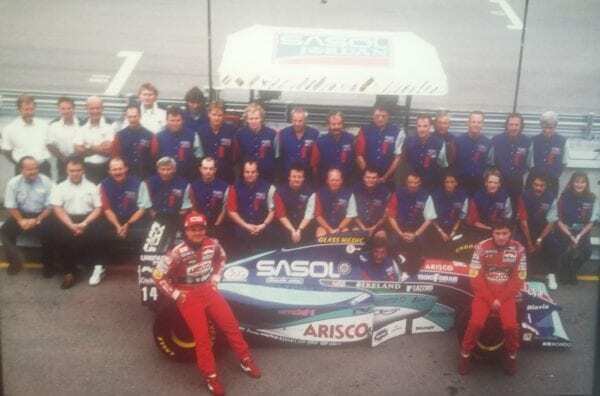 Louise worked with several notable drivers during her spell as a Formula One press officer, but she has fond memories of her time spent with Eddie Irvine, who she remains friendly with to this day. “Eddie [Irvine] was a messy bugger. I used to have to iron his shirts for him, but you did that sort of thing back in those days. This was back when I’d be sewing patches onto overalls because we’d got a new sponsor for a particular race. Eddie would always turn up on time; he was good value. He’s the kind of person that every time he opens his mouth a quote falls out of it. You’d have to reign him in sometimes, but he’s one of those personalities. Like him or loathe him, you couldn’t avoid him. “Today, no interview takes place without a member of the press team sitting alongside with a dictaphone in their hand. I can understand why it’s done that way – it’s a different world now. 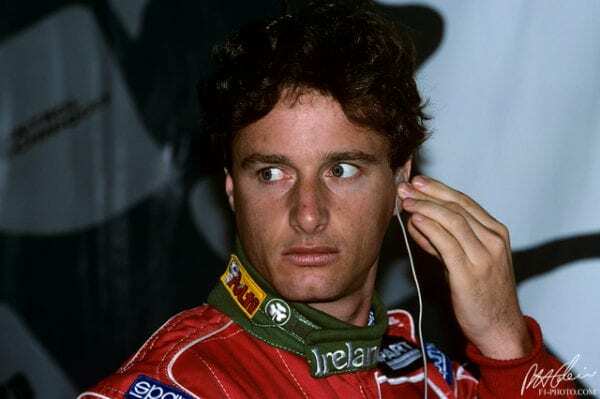 I had a good relationship with Eddie Irvine because he knew that if I was saying to him ‘you need to do this’, then there were ten people I’d said ‘no, sorry he’s not available’ to because I was using his time effectively. Irvine’s teammate at the time, Rubens Barrichello, was a very different character and the pair posed a unique challenge for Louise. “Rubens Barrichello was perpetually half an hour late for everything. It got to the point where I would say to Rubens that we were leaving, half an hour before we actually were. It’s a Brazilian thing – they’re late for everything. Half an hour late is pretty early for them. Previous articleHow do you solve a problem like the Scuderia?